Roundtable Contributors: Elizabeth Caran (Outlander Travel), Princess Fee (DF’82), Estelle Hallick (This Happy Place), Alan Mize, Jeremy Morrison (Spins The World), Melissa Sue Sorrells Galley (Mouse on the Mind), Blake Taylor (BlakeOnline.com), Andrew (Disney Hipsters Blog), and yours truly. Further proof that our Muppet dreams are indeed coming true a.k.a. this new movie is really happening! Ty Burrell of ABC's Modern Family (love the synergy Disney!) is set to star as an inspector in the upcoming caper, arriving into theaters in December 2013. Now I'm not a regular viewer of Modern Family, but my coworkers are constantly singing its praises and so are the SAG Awards. This week, Ty was nominated for Outstanding Performance By A Male Actor In A Comedy Series. I'm still hoping this Muppet movie grabs onto the nostalgia factor and inserts a few celebrity throwbacks from the good ol' Muppet Show days. Now wouldn't that be a treat... I, for one, thought the last movie planted too many "it" celebrities who might not have the star power to sustain that timeless, classic feel I love about these films. A slightly different angle on news from Disney this week for me. There has been an appointment of a new General Manager of Consumer Products for the Walt Disney Company. The man who has been in charge of Marvel Entertainment International, Simon Philips, has been put in charge of Disney licensed products. Philips will be in charge of the Europe, Middle East and Africa markets. As per a statement from the Walt Disney Company, he will be in charge of licensing product, publishing and Disney Store business. Let’s hope that he brings his magic touch with Marvel, which has been an immensely profitable ‘name’ in recent years, to Disney for the EMEA region. I love relaxing on vacation. Sure, epic Magic Kingdom 'rope drops' have their place... But for the most part, I like to chill. The addition of the new RFID transaction option is just another way to leave my troubles behind. I already use my Key To The World card for purchases while on vaycay... And this just makes it all the more easy to waste my money. I'm super excited to see what the additional rollouts of this NextGen nonsense will bring. As it stands now, it seems like only good things will come from this for experienced Disney World guests. Providing me more opportunities to stuff my face full of zebra domes. I, along with I'm sure many of you, giddily enjoyed (vicariously via Twitter) last week's multi-day press event in Walt Disney World. While there were many prolific highlights from the festivities, my favorite of all the goings-on had to be New Fantasyland's grand opening ceremony. Held on Thursday, December 6 in front of Cinderella Castle, it featured special appearances by Mickey Mouse, Disney Parks Chairman Tom Staggs, Once Upon a Time's Ginnifer Goodwin, 2007 American Idol champion Jordin Sparks, all seven dwarfs, and a royal procession of Disney princesses. Among those in the crowd watching were Paige O'Hara (the voice of Belle), Jo Anne Worley (the voice of the wardrobe in Beauty and the Beast), Jodi Benson (the voice of Ariel), Ron Clements and John Musker (directors of The Little Mermaid), and Roy Patrick Disney. Oh yeah, and Dumbo showed up. The namesake of Disney's fourth animated feature emerged from the dark for a special one-time appearance during the New Fantasyland opening ceremony. 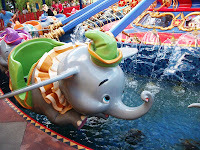 Aside from extremely rare character greetings over the years when his ride was occasionally down for refurbishment, Dumbo is about as sparse as they come for in-Park sightings, thus his surprise entrance during Thursday's ceremony prompting uproarious shouts from the crowd. While Disney has not released any plans of giving Dumbo a permanent meet & greet, the audience's shocked, enthusiastic reaction to him makes it clear that he'd be a hit with Guests. I for one would love a picture with Dumbo after all these years! This past week, Disney Cruise Line surprised the port in Galveston with news that it would no longer sail from there starting in 2014. This cancelled about 19 cruises that were tentatively schedule for the first half of the year. However, Disney has apparently made the decision to sail all four ships out of Florida for the first half of the year, bringing the ship back to Canaveral. There are various rumors as to why they made this decision, but my best guess is that they simply weren't moving much inventory from this port. There have been many sales and specials trying to attract guests to this new port and they've even fiddled with itineraries a little trying to attract new cruisers, but frankly, with the closest major airport an hour away in Houston, it's not an easy sell, even for Disney diehards. Although this port was less than ideal for Disney, I do hope they continue to explore other ports for the Caribbean/Bahamas market. Canaveral is great, but choice is always appreciated by guests. 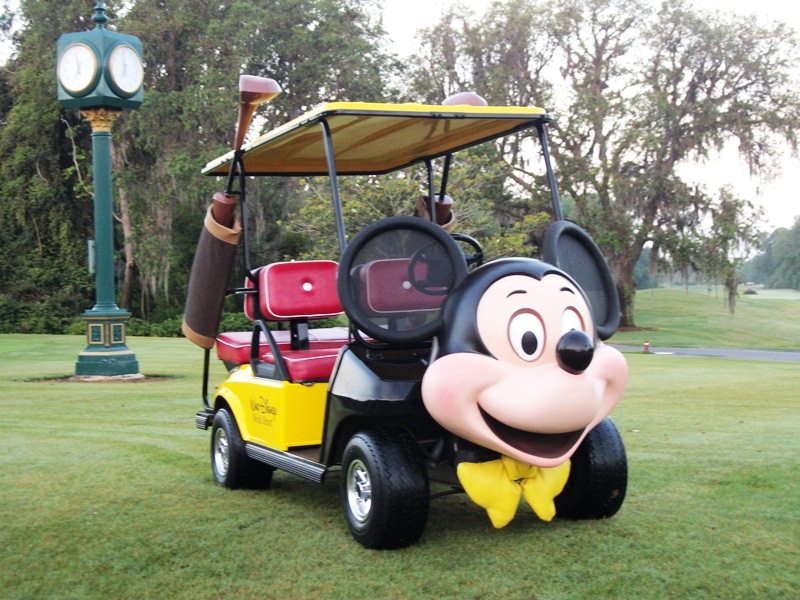 Next fall, the PGA Tour will include six tournament stops, and for the first time in more than 40 years, Walt Disney World will not be one of them. Unable to overcome the loss of its biggest sponsor—The Children's Miracle Network Hospitals—Disney World simply could no longer carry the cost of the tournament stop. 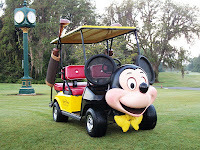 Personally, this news doesn't affect me too much—sure it's one less big sports group in the resorts, but it's not like the golfers are running through the halls at 3 a.m. or practicing cheers in the lobby at 6 a.m. That said, what will become of all of those rolling green golf courses dotted around Disney's Lake Buena Vista property? Disney's gift of space may have just gotten a little spacier, and the possibilities are endless: A fifth gate? An entertainment complex? Something amazing I haven't thought of yet? I searched for some time to find a topic for this weeks roundtable. New Fantasyland? Been done. Test Tracks grand re-opening? Er, did that last week. As I searched through seven days of news from the Happiest Place on Earth, it donned on me - the topic was staring me in the face. Mr. Disney himself. Walt’s life began, and ended in the first half of December. Walt began his journey on December 5, 1901. 65 years later - on December 15, 1966 -with his brother Roy at his feet, Walt took his last breath in a hospital across the street from his beloved studio. In between, he became arguably the most influence person who has ever graced show business. I will not be providing his biography. Plenty of detailed tellings of Walt’s life abound. I do want to acknowledge the life of a true icon. I want us all – my fellow nerds at this roundtable, and those reading – to take a minute to think about Walt’s toothy grin, boyish optimism, and there’s-no-such-thing-as-impossible attitude. Without him, I would not have the simply joy of writing for my website, or the Gazette. The films of my childhood would be different. Lady would never have bumped snouts with a Tramp. Buzz Lightyear would never have saved the day. Millions of people around the World would never have had the chance to stand on Main Street U.S.A. and witness fireworks light the night sky. And we, my friends, would still be strangers. Thank goodness the opposite is true. Disney connects millions. Through movies, magic, and a shared love of everything he created. For that and more we owe you, Mr. Disney. Unfortunately, it’s a debt we can’t repay. Instead I’ll offer, on behalf of everybody, a somber and heartfelt Thank You. This week, let’s take a look at something that combines my two favorite aspects of Walt Disney World - Epcot and food. 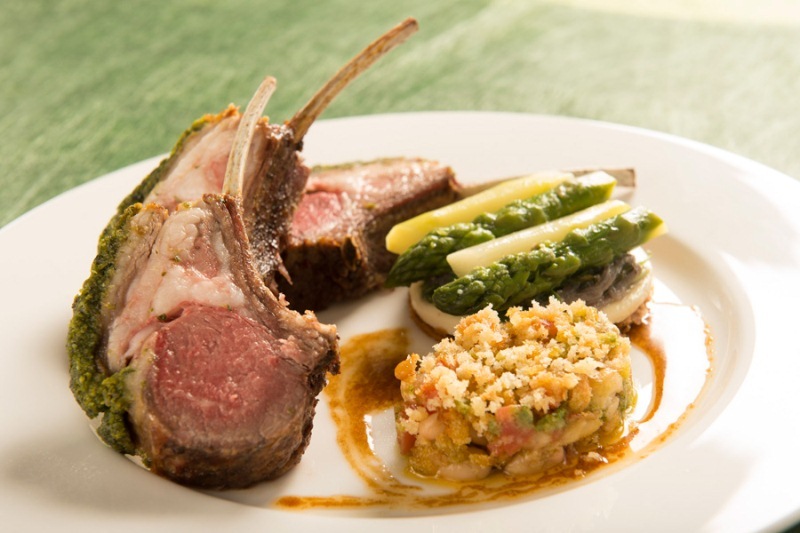 Earlier this year, Bistro de Paris was closed to be re-imagined as a new French dining experience. This week, it reopens as Monsieur Paul’s. Gone are the tuxedos and white linen table cloths. In their place, a more relaxed atmosphere seemingly better suited to entertain a theme park clientele. My wife and I booked reservations for Bistro de Paris for our upcoming trip in March knowing that the change was coming and we’re excited to try the newest restaurant at Walt Disney World. I’ve heard a lot of concern over whether or not the menu would be “dumbed down” and based on the menus I have seen, I don’t think that will be the case here. The pictures that have been released of the food look fantastic and I’m sure the new décor will match. I feel like Bistro de Paris was always an afterthought when it comes to dining in the France pavilion, so I hope that this refurbishment will not only freshen up the atmosphere and food, but also re-energize the restaurant and create another top notch dining destination inside the gates of Epcot. Since Kodak filed for bankruptcy protection in early 2012, it shouldn’t come as a complete shock that Kodak sponsored areas in the Disney parks is coming to an end. What it does mean is that there will be a lot of subtle changes around the parks coming in the beginning of 2013. Park maps will no longer bear the brand that has so long appeared as a staple on them. The name on the Picture Spots scattered throughout the four parks will need to be changed or simply removed. Some attractions, such as MuppetVision 3D, will need to have the sponsorship iconography removed. Kodak has not always been the only photographic company present within the parks, both Polaroid and GAF had a presence in the parks once upon a time and Fuji gave it their best shot as well, but they have been there the longest and their mark on the Disney family vacation is indelible. I’m not too concerned about how this will affect the parks, other than a single former ticket kiosk in Disneyland, I’m more saddened by the current state of Kodak. As for Walt Disney World, and Disney as a whole, this is another opportunity to bring some items, maps and photo spots for instance, back under their own banner and let them truly shine. Provided they give the departments responsible for these elements the leeway to do what they do best.